Slab lifting is an economical alternative to complete concrete replacement, be it a simple sidewalk repair or providing a cost-effective remedy for an entire building foundation. If you want to corner the market in this potentially profitable business, begin by scoping out a specialized area, such as residential, commercial, or civic/municipal. Next, make a simple short written list of the assets you absolutely must have to get started. Do you need a full sized slab lifting rig to get rolling? Or maybe just the portable PolyBadger lifting system? (Review both options here.) 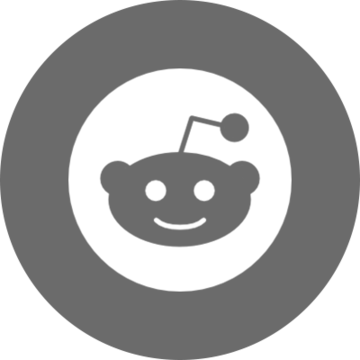 Are there any special licenses or certifications required for operation? Do you have a good relationship with an equipment and materials supplier? 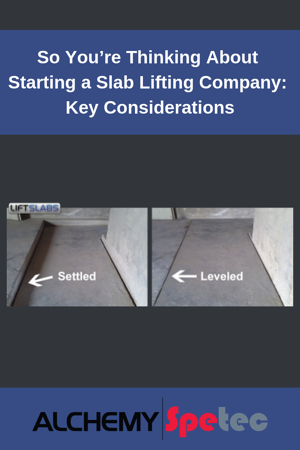 Having the right slab lifting equipment, top-of-line materials, vendor support, and deep expertise in this unique industry are the first keys to success for startup companies. Do You Have a Business & Marketing Plan? If someone asked you to drive to Seattle, would you get in your car and take off, or would you look at a map first? A business and marketing plan is the roadmap for your slab lifting/concrete leveling business. It will help you define and stay true to your path, and it’s a tool you will need to attain startup financing. In it, you should define your target market segments, project revenues and milestones for the first 3 to 5 years in business, define fixed and variable costs, and outline how you plan to get the word out among potential customers. Do You Have Vendor Support in Place? Whether your goal is to launch a slab lifting venture that caters to home or business owners, you will need a dependable, knowledgeable supplier who will not only sell you slab lifting pumps, guns and foams - but also serve as a trusted advisor. Some of these subjects may be familiar territory to current business owners, such as spray foam or foundation contractors - but even if that's the case, a quick review will be well worth your time!